A 41-year-old man identified as Matthew Atewe has been arraigned before an Evboriaria Magistrates Court for defrauding his fiancée, Gladys Imagbenikaro, of the sum of N4,285,000. Matthew was said to have met with Gladys’ parents and declared interest to marry her. It was gathered that Matthew rather got married to another woman after performing introduction ceremony with Gladys. Younger brother to Gladys, Kenneth Imagbenikaro, who spoke while testifying at the resumed hearing of the trial, said, Matthew came to their house with the false pretence of marrying his sister. Kenneth stated that it was the trust the family and his sister had in Matthew that made her send goods worth €12,000 (N3,000,000) to sell for her. He said his sister sent another N1,285,000 to Matthew to be deposited in her account. Kenneth stated that the sister sent him to retrieve the goods and cash from Matthew after she noticed that he was no longer truthful to her. He said that Matthew also stopped visiting their family house. 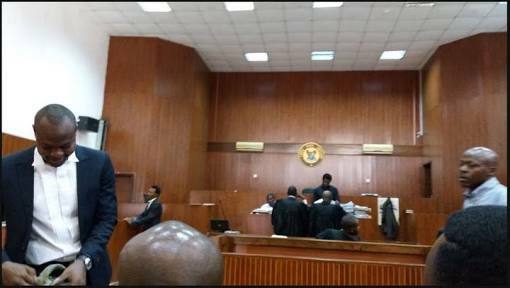 Presiding Magistrate, S.A Ugah, adjourned the case to August 16, 2018 for continuation of hearing. DO YOU WANT TO MAKE MONEY TRADING ONLINE? Join a team that will give you $100 to trade. They won't ask you for your personal money. If you make profit with the $100, you can withdraw it.